Boone, IA (September 3, 2018) – Harris Auto Racing is pleased to announce the return of Mark Elliott to our staff, he will serve as the Technical Sales Associate for Harris Auto Racing. Elliott will be responsible for sales, technical support, and will assist with chassis development. “With the addition of an industry veteran like Mark, Harris Auto Racing is excited to continue broadening our reach while serving the needs of our customers through top level personnel, his experience will be beneficial to not only us as a company but our customers as well.” Stated Kyle Brown, President of Harris Auto Racing. Elliott has a decorated resume within the circle track market and is the founder of Terminator Chassis. 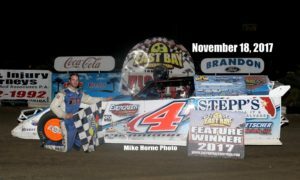 Harris purchased Terminator in fall of 2005 and has continued the brand under the same roof as their industry leading modified chassis. Elliott served as the Sales Manager at Harris from 2005 to 2011. “The decision to move on 7 years ago was a tough one, however the things I have learned during those years will be beneficial to our new venture together.” Stated Elliott. “I’m very excited to return to Harris Auto Racing, it’s a coming home of sorts.” Effective September 17, 2018 customers will be able to contact Mark at the shop 515.432.6972 ext11 or via email mark@harrisautoracing.com. 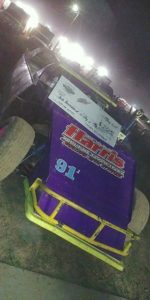 If you are looking for more information regarding Harris Auto Racing and their products visit the website www.harrisautoracing.com. Boone, IA (November 28, 2017) – After review of the 2018 IMCA rule amendments and discussion with the sanctioning body, we must address the Modified body dimension V as well as Northern Sportmod body dimension U (roof min/max dimension). We have fielded many questions in the past week regarding the release of the new rules. 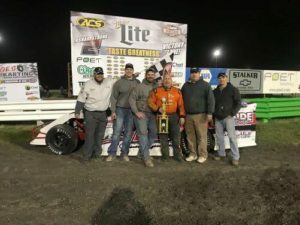 “In the past 32 years we have built many different roof designs for our Modified chassis all of which meet the requirements set forth by the respective sanctioning bodies at the time of manufacture. Unfortunately, we do not receive any forewarning on such rule changes and must react just as our customers do.” commented Kyle Brown, President. Many roofs manufactured prior to this release are slightly short of the new letter V roof minimum dimension. We are currently working on updating patterns and rebuilding inventory. If you find that your current roof is not to the new minimum specification, we have been informed that it will be enforced accordingly. Anyone in need of the resized roof please contact the shop to get the roof and sail panels ordered to meet the new specifications. Harris Auto Racing has been the leading manufacturer in quality and innovation and will continue to set the standards for the industry. “Legality of our products has always been a priority for Harris Auto Racing and we will continue to build our racecars within the rules provided by the sanctioning bodies.” continued Brown. If you would like more information or need any clarification on the 2018 rule changes, please contact the IMCA Executive Director of Competition Dave Brenn at 785-307-8482. If he does not answer, leave him a voicemail as he is a busy individual this time of year. 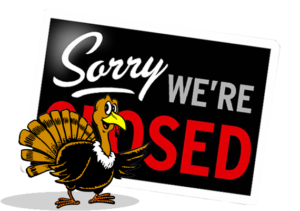 We will be closed Thursday, November 23rd, 2017 so our employees can enjoy their Thanksgiving with family and friends. Our normal business hours will resume Friday, November 24th, 2017 at 8am. They are working on fixing them and once they are fixed we will be much clearer than before! We will also be offering our Super Nationals Contingency Program to all eligible team members to show our appreciation for the support that all of you have shown to Harris Auto Racing over the years. To be eligible for the contingency awards you must place the Harris logo on both doors or both quarter panels or on the nose panel, at a minimum of 36” wide and 14” tall. If you need the above logo in electronic form, email teresa@harrisautoracing.com for the high-resolution logo. (retail $7500) in exchange for your current chassis and interior. Thank you for your continued support and good luck the rest of the year!